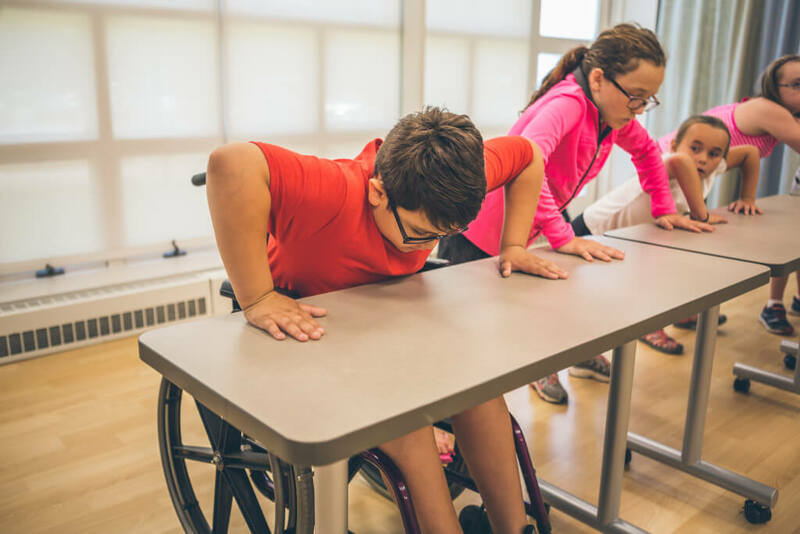 This lesson helps young people understand why exercise is important for their bodies and minds. The youth will experience how they feel different before and after physical activity. They will estimate how much exercise they get each day and think of ways they can be more active. Ask young people, why is it good for us to move around and get exercise? Exercise is good for your heart. It helps your heart pump blood all through your body. Your heart can never take a rest, so it needs to be strong! Good food and plenty of exercise help. Exercise can put you in a good mood. When you exercise, your body makes a chemical — called an endorphin — that helps you feel good. Exercise helps your body stay at, or reach, a healthy weight. The food you eat is energy that you put into your body. This energy is also called “calories.” To stay at a healthy weight, you have to use up the energy you eat. Exercise helps you do that. If you don’t use the energy, it stays in your body and can make you gain weight that you don’t need. Extra weight is hard on your heart, muscles and bones. Explain that “Energy in” is the food we eat and the beverages we drink. “Energy out” is the physical activity or exercise we do every day. Talk with the youth about what happens when we take more energy in than energy out and vice versa. Our bodies need energy to properly grow. If we take in more food and beverages on a regular basis than our bodies need it is possible for us to gain excessive weight. Explain the importance of a healthy balance to help our bodies grow and be healthy. With the youth sitting quietly, explain that you are going to do a classroom experiment involving exercise. Ask for words that describe how the young people are feeling as they are sitting quietly in their seats. Encourage them to pay attention to what kind of mood they are in, what their bodies are telling them, and how much energy they have. They may say things like calm, tired, antsy, bored, comfortable. Whatever they say is fine as long as they are saying what they actually feel. Write these words or phrases in the “before” column. 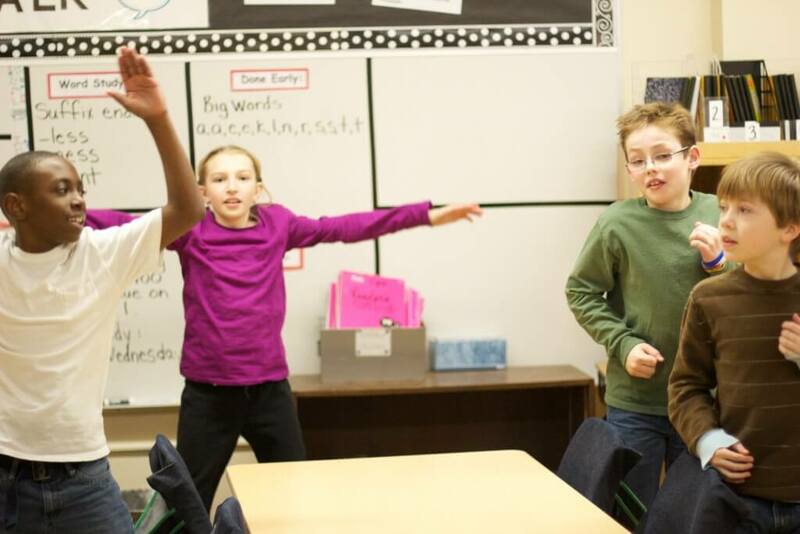 Lead the youth in a variety of exercises, such as high-knee marching around the classroom, sit-ups, push-ups, jogging in place, or jumping jacks. See if anyone has suggestions of activities. Exercise for at least five minutes before having young people return to their seats. Now have them tell how they are feeling after exercising. Write those words in the “after” column. They may say things like alert, awake, happy, full of energy, excited. It helps your body maintain overall good health. It helps build and maintain healthy bones and muscle. It feels good, if done right. Ask the youth, how much time should kids exercise each day? How can you get more? The answer is that it’s good to get at least one hour, but wait to offer this until young people have made suggestions of their own. Then use the following questions to help them think about their own exercise habits. How much exercise do you get at school? Prompt the youth to think about how much time they spend in gym class, and how much time outside for recess. Ask them if that adds up to one hour a day. You may want to add up the amount of time mentioned on the board. How much exercise do you get when you’re home after school? If young people say that they don’t get much exercise after school, ask them what they do instead of exercise. Ask them what their favorite exercise is and plan how they can do more of it. They could turn off the television after 7pm, encourage the family to go on a walk before or after dinner or go outdoors and play with their friends. What about exercise on the weekends? Ask the young people to make a list. Make sure they remember things like soccer, dance, etc., in addition to playing outside with friends. In fact, it can be anything that involves moving your body, like going for a bike ride, walking the dog, running, helping in the yard, going to ballet class, going to soccer practice, gym class, anything that gets your body moving. After the young people make their lists, ask them to write down times during the day that they can add these exercises to what they’re already doing so that they reach one hour a day. Encourage young people to try lots of different activities and exercises at least one time, even if they don’t think they will be very good at them. Remind them that you don’t have to think you’re good at something to enjoy and to benefit from it. If they stay open to new possibilities they may be surprised by what they discover. Hand out the Healthy Families Newsletter in English or Spanish, so that families can explore new ways to exercise together at home.